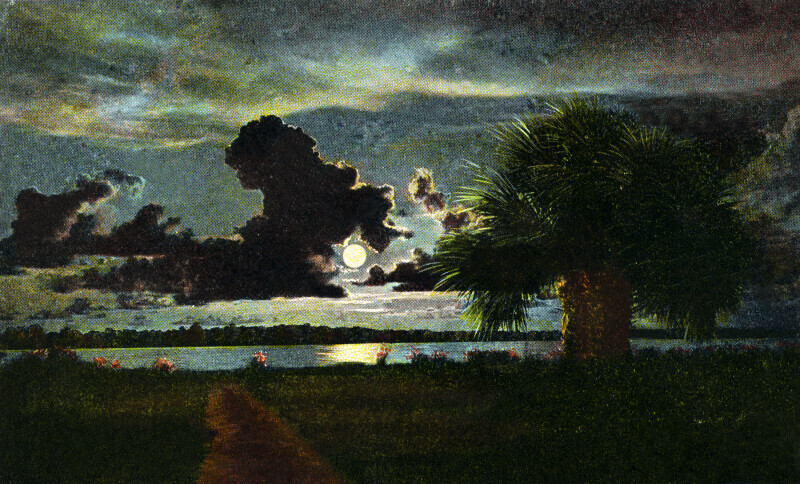 This is a night scene, with the viewer gazing out over Boca Ciega Bay. The moon appears to be full. A single, squat palm tree is seen, on the right side. The moonlight is being reflected by the water of the bay.